Math.6.RP.A.3a: Make tables of equivalent ratios relating quantities with wholenumber measurements, find missing values in the tables, and plot the pairs of values on the coordinate plane. Use tables to compare ratios. Math.6.RP.A.3b: Solve unit rate problems including those involving unit pricing and constant speed. For example, if it took 7 hours to mow 4 lawns, then at that rate, how many lawns could be mowed in 35 hours? At what rate were lawns being mowed? Math.6.RP.A.3c: Find a percent of a quantity as a rate per 100 (e.g., 30% of a quantity means 30/100 times the quantity); solve problems involving finding the whole, given a part and the percent. Math.6.NS.C.7: Understand ordering and absolute value of rational numbers. Math.6.NS.C.6a: Recognize opposite signs of numbers as indicating locations on opposite sides of 0 on the number line; recognize that the opposite of the opposite of a number is the number itself, e.g., –(–3) = 3, and that 0 is its own opposite. Math.6.NS.C.6b: Understand signs of numbers in ordered pairs as indicating locations in quadrants of the coordinate plane; recognize that when two ordered pairs differ only by signs, the locations of the points are related by reflections across one or both axes. Math.6.NS.C.6c: Find and position integers and other rational numbers on a horizontal or vertical number line diagram; find and position pairs of integers and other rational numbers on a coordinate plane. Math.6.NS.C.7c: Understand the absolute value of a rational number as its distance from 0 on the number line; interpret absolute value as magnitude for a positive or negative quantity in a real-world situation. For example, for an account balance of –30 dollars, write |–30| = 30 to describe the size of the debt in dollars. 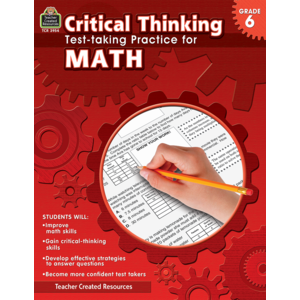 Math.6.EE.A.2: Write, read, and evaluate expressions in which letters stand for numbers. Math.6.EE.A.3: Apply the properties of operations to generate equivalent expressions. For example, apply the distributive property to the expression 3 (2 + x) to produce the equivalent expression 6 + 3x; apply the distributive property to the expression 24x + 18y to produce the equivalent expression 6 (4x + 3y); apply properties of operations to y + y + y to produce the equivalent expression 3y. Math.6.EE.B.5: Understand solving an equation or inequality as a process of answering a question: which values from a specified set, if any, make the equation or inequality true? Use substitution to determine whether a given number in a specified set makes an equation or inequality true. Math.6.EE.A.2a: Write expressions that record operations with numbers and with letters standing for numbers. For example, express the calculation “Subtract y from 5” as 5 – y.
Math.6.EE.A.2c: Evaluate expressions at specific values of their variables. Include expressions that arise from formulas used in real-world problems. Perform arithmetic operations, including those involving whole-number exponents, in the conventional order when there are no parentheses to specify a particular order (Order of Operations). For example, use the formulas V = s3 and A = 6 s2 to find the volume and surface area of a cube with sides of length s = 1/2. Math.6.SP.B.5a: Reporting the number of observations. Math.6.SP.B.5c: Giving quantitative measures of center (median and/or mean) and variability (interquartile range and/or mean absolute deviation), as well as describing any overall pattern and any striking deviations from the overall pattern with reference to the context in which the data were gathered.